Viknesh Vijayenthiran November 20, 2017 Comment Now! It appears Tesla may have given us an early look at its pickup truck coinciding with the reveals of its new Semi and Roadster models last Thursday. A pair of sketches were posted to Tesla’s Twitter feed moments before the Semi was revealed. Although they’re labeled as “early sketches” for the Semi, they actually depict a pickup truck, albeit a massive one. Yes, a Tesla designer has penciled in a Ford F-150 parked in the bed. 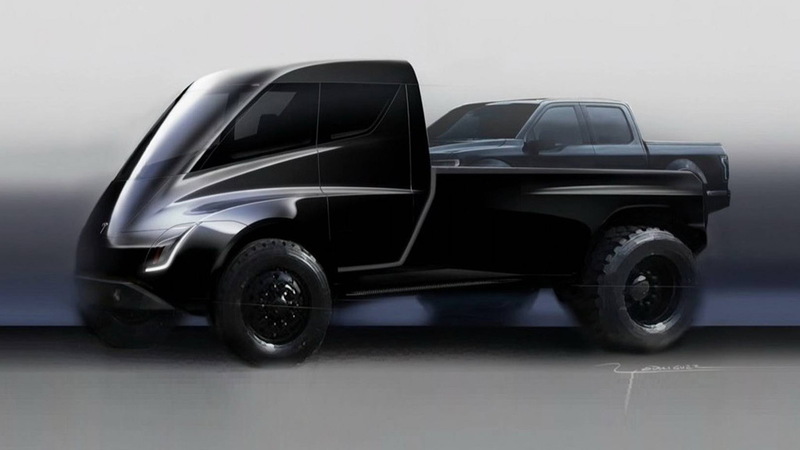 The pickup features the same streamlined cab as Tesla’s Semi, although it isn’t as tall. The pickup does have a taller ride height, though, and it only has a single axle at the rear instead of the Semi’s two. Designers often play around with ideas by drawing them out, so normally sketches like these wouldn’t necessarily indicate that the depicted vehicle is headed for production. 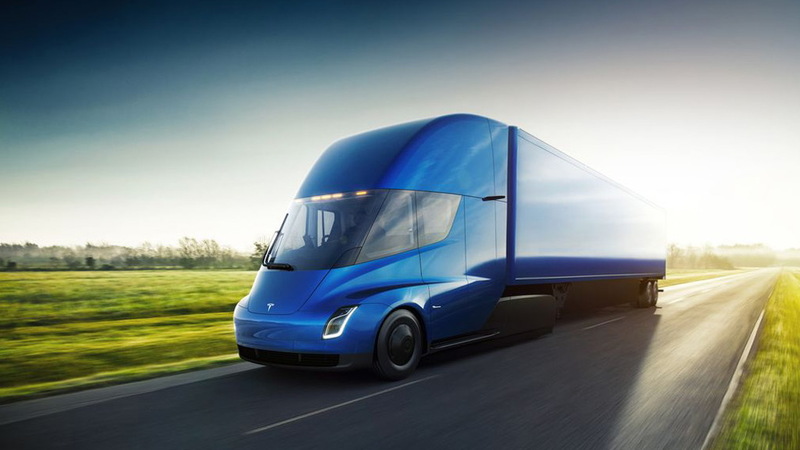 However, Tesla CEO Elon Musk has made some comments on Twitter that suggest Tesla is looking to leverage the Semi’s platform for a pickup. 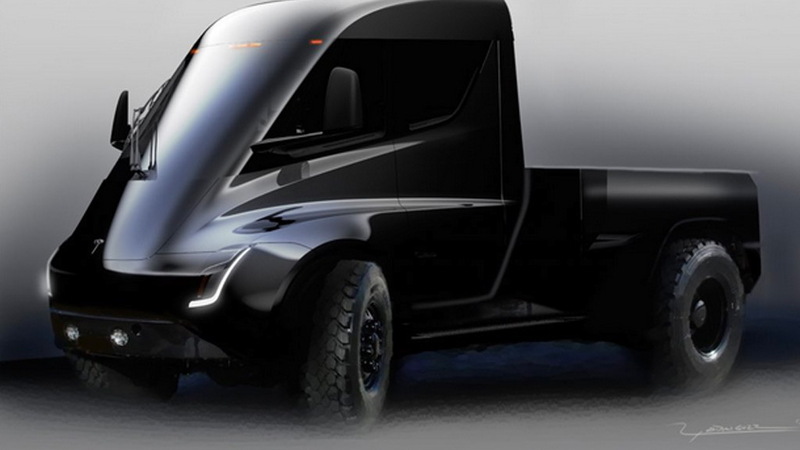 The comments suggest that Tesla’s pickup won’t exceed the specs for a Class 6 medium-duty truck; any higher and you’d need a commercial driver’s license. More importantly, the comments also suggest that there might be more to these sketches than just a designer’s imagination. Tesla confirmed plans for a pickup in its Master Plan strategy announced in 2016. However, there wasn’t any indication of when we might see the vehicle and the wait will likely be a long one. 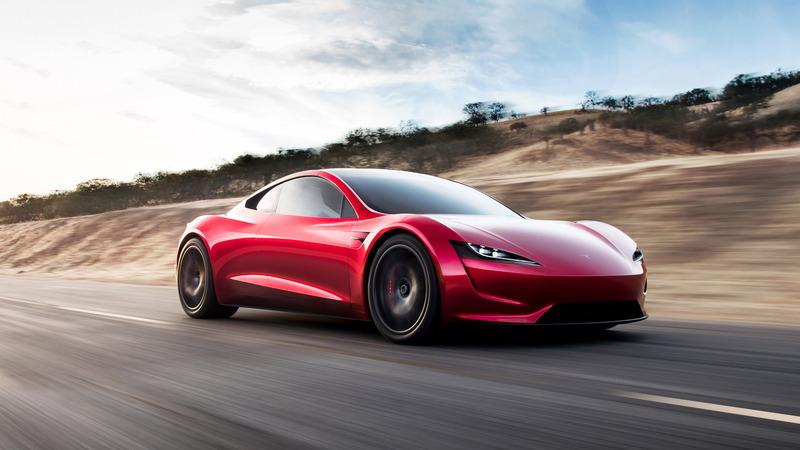 Beyond the pickup, Tesla also has in the hopper a Model Y crossover SUV, the next-generation Roadster, and the Semi. That’s on top of its plans for energy storage and solar roofs. In other words, it’s going to be busy times at the Californian firm for years to come.